Website redesigns are a huge undertaking, especially for nonprofits who have very specific (and often tight) budgets and not a minute of spare time. ArcStone has been focusing on nonprofit web design for a few years now, so we’re family with situations where decision makers are challenged beyond their original expectations. How can you prep so you are ready for what your website project may throw your way? We think you should attend a happy hour. Hear us out. Minneapolis web design, content and development experts are getting together this upcoming week to talk through the challenges of a website redesign. These folks include ArcStone’s CEO David Carnes as a moderator of the panel discussion and representatives from three Minneapolis web design agencies – ArcStone, Brandpoint and fjorge. Whatever questions you and other guests ask! This is all happening Tuesday, June 6th, 3:30pm-6pm at the Shindig Event Space. Besides the amazing knowledge you’ll gain by listening to the experience of others, you will also receive a free drink ticket and delicious apps. Sign up here. 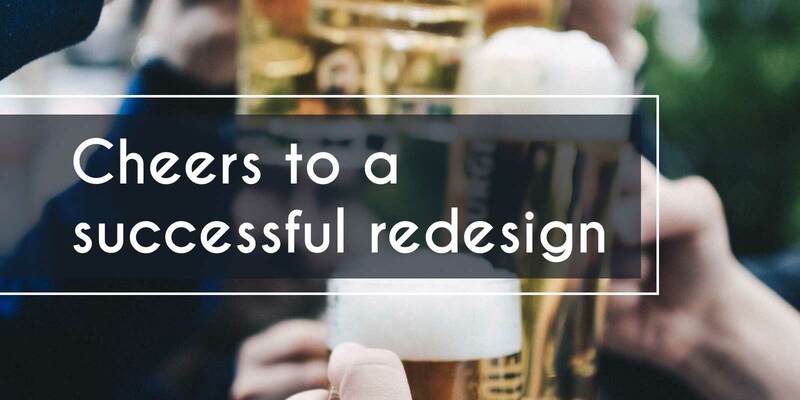 Cheers to a successful redesign! ⟵How to ensure your nonprofit video is worth the expense.